Technical Schools are quickly becoming a popular alternative to the traditional four-year liberal arts colleges and universities. Many students today are opting to pursue their post-secondary education at a two-year technical school or vocational college, where they can receive the specific training they need to fast-track into a lucrative career. Whether called a vocational college, technical school or career college, these schools offer students the opportunity to learn a trade that will allow them to move seamlessly into the workforce. Career training courses at technical schools run the gamut from computer sciences to auto repair, heating and air conditioning maintenance to cosmetology. For students who are looking to move directly into a rewarding career, technical schools often provide the answer. Two years of study at a technical school or vocational college may be less expensive than a traditional four-year college or university, but it still requires a sizable financial investment. Most students attending a technical school will need to rely on some combination of financial aid. While scholarships and grants are always the first choice, these can be limited for students enrolled in a career training program. For many students pursuing a degree or certification at a technical school, student loans offer the financial assistance they need to cover their tuition costs. All students looking for loans to help pay for college should start with the programs offered by the Federal government. Federal Direct Loans are the most affordable and student friendly loan programs available. They offer low interest rates, easy repayment plans, and a six month grace period following graduation. Whether you are attending a technical school or a four-year university, Federal loans are the most affordable loan packages available to students. The following Federal Direct Loans are available to students pursuing their studies at a technical school or vocational college. The Federal Direct Subsidized Loan is available to undergraduate students with financial need, who are enrolled at least half-time in a program leading to a degree or certificate. Students receiving a subsidized loan will have all interest paid by the U.S. Department of Education for as long as they are in school. Loan amounts are determined by financial need, and the student’s total cost of tuition. The Federal Direct Unsubsidized Loan is also available to all students enrolled at least half-time in courses leading to a degree or certificate of completion. Unlike subsidized loans, there is no requirement to demonstrate financial need. Loan amounts are determined by the school, and are based on total cost of tuition less any other financial aid already received. Students receiving a Federal Direct Unsubsidized Loan will be responsible for all interest accrued. Before applying for any Federal Direct Loan, students must fill out and submit their Free Application for Federal Student Aid. The FAFSA is used by the Department of Education to assess a student’s financial status, and to determine the levels of financial aid for which they are qualified. Every search for financial aid for college, whether at a technical school or four-year university, begins with the FAFSA. More often than not, Federal loans will not cover the full cost of a student’s tuition. Even students pursuing their education at a technical school or vocational school may find that Federal loans fall short of the mark. 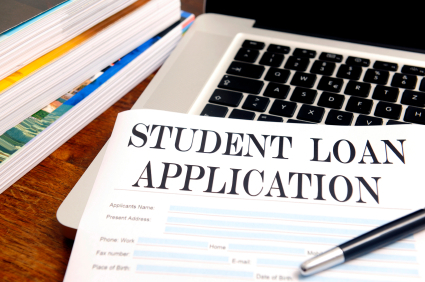 Students left with a sizable amount of unmet need after applying for their Federal loans may need to consider a private lender loan. Private, or alternative, loans play an integral part in helping students finance their college education. As helpful and important as they are, private lender loans are more difficult to secure than their Federal counterparts and generally come with higher interest rates and more stringent repayment terms. That being said, without private lender loans many students would be unable to afford to pursue their college education. The majority of private lender loans for college are designed for students attending a traditional four-year college or university. That is beginning to change, however, and more banks and private lending institutions are beginning to design loan packages specifically geared towards students pursuing career training at a technical school or two-year community college. Students looking for loans to help pay for technical school or vocational training may have to consult with a number of private lenders to find a suitable loan program. The following private lenders offer loan programs designed to benefit students enrolled in career training programs at a technical school, vocational school or community college. Wells Fargo – Wells Fargo offers the Student Loan for Career and Community Colleges. This loan is specifically designed to meet the needs of students pursuing career-specific training at a two-year community college or technical school. The loan offers low interest rates and flexible repayment plans. Eligibility is determined by income and credit history. Sallie Mae – As one of the leading providers of student loans, Sallie Mae has a long history of tailoring loans to meet the needs of all types of college students. The Career Training Smart Option Loan is one of their newest loan programs, and is designed to fit the needs of students enrolled in a technical school or vocational college. The program offers low interest rates, flexible repayment options and rewards for on time payments. Students may borrow up to 100% of their total tuition costs. Chase Bank – Chase offers the Chase Select Student Loan for undergraduate students enrolled in a degree or certificate program at a participating technical school or community college. The Chase Select Loan program offers low fixed interest rates and flexible repayment options. To be eligible, applicants must be a current account holder at a Chase bank. Final loan approval is determined by income and credit history. The Bank of North Dakota – Students enrolled in a community college or technical school can take advantage of the Dakota Education Alternative Loan. This loan is available to students pursuing a degree or certificate at an approved two-year college or vocational school. Loans are decided according to credit history, and students may borrow up 100% of their total cost of tuition. This loan is only available to students attending school in North Dakota, Minnesota, Wyoming and Nebraska. Technical schools and vocational colleges are enjoying a renewed interest across the country. The demands of a fast changing job market have caused an upswing in the number of students pursuing degrees and certificates in career training programs. For many students, a four-year liberal arts education is not their goal, and vocational training offers a way to fast-track into a reliable career. For those students, private and Federal education loans offer the financial assistance they need to pursue both their educational and professional goals.